Lucy Rae Gaudet was born January 28, 2019 at 30 weeks gestation. Her parents, Devin and Christian, were told at 20 weeks gestation that she has Downs Syndrome (Trisomy 21). Lucy has also been diagnosed with serious heart problems including an atrioventricular canal defect and complete heart block. 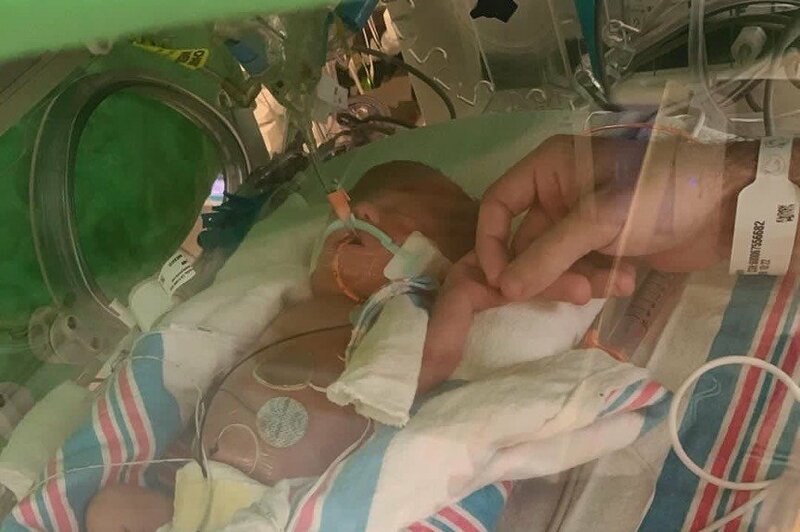 For Lucy to receive the best possible care from doctors and specialists, she and her parents must stay in New Orleans for an indefinite period of time, 3 hours away from home. First and foremost, they need our prayers, but they could also benefit from financial assistance. Lucy will be in the hospital for weeks, if not months. Surgeries will be necessary. Devin and Christian will need help with living expenses while in New Orleans, 3 hours away from their home and jobs. Any thing that you can provide this beautiful family going through this critical time is greatly appreciated. We do not know what God has planned for this sweet soul, but we are sure that His plan is big. Bigger than any of us can imagine. Please give if you can. And pray, pray, pray!